At Horan Law Offices, P.C., Attorneys at Law in Phoenix, we understand that serious injuries can be life-altering events. If you have been hurt by the negligence or wrongdoing of another person, we can help you pursue full compensation for your injuries. Since 1997, we have helped victims obtain justice and financial relief to help pay for medical costs, lost wages, and pain and suffering. Whether you have been hurt in a car accident, a fall on unsafe premises, or some other type of accident, we will deliver aggressive representation and full legal support throughout your case. This includes assisting you in getting the medical treatment you need as well as providing transportation if necessary. 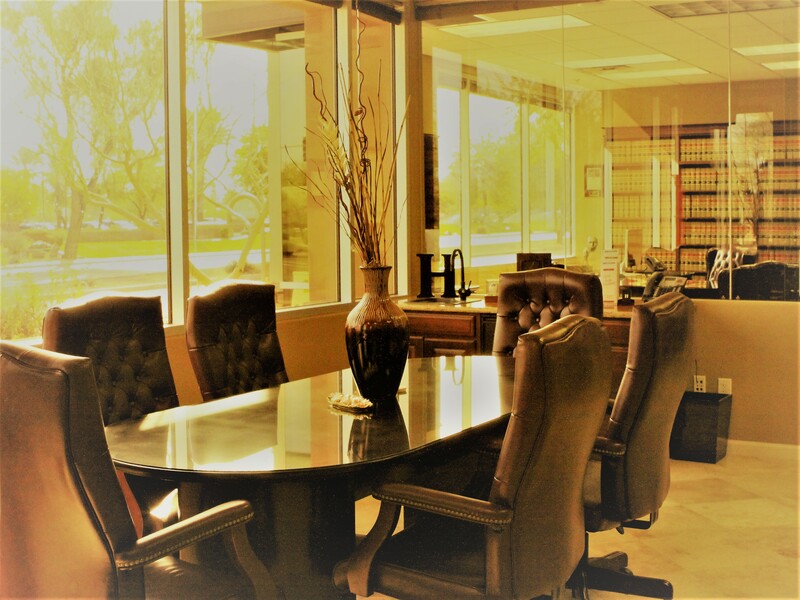 Throughout Arizona, we have developed a distinguished record for focusing on winning and securing strong results for the people we advise and look forward to helping you get the compensation you deserve. Rollovers — Sport utility vehicles have become very popular, but their design makes them prone to dangerous rollovers even when contact is only minor. If you have been hurt because an SUV or some other vehicle rolled over, our firm will take action against all of the liable parties, including manufacturers, when appropriate. Pedestrian injuries — When a car or truck strikes a pedestrian, the damage can be devastating. Frequently, these tragic accidents occur because a driver failed to adhere to the laws that protect individuals walking in the street. Collisions with trucks — Specific rules govern the operation of large trucks. If you have been injured in a collision with a commercial vehicle, we have the experience and capability to investigate whether rules on speed, driver rest or load weight were broken and hold the responsible parties accountable. You can trust us to work diligently to maximize your recovery. Attorney Adnan Horan has earned an AV® Preeminent™ Peer Review Rating by Martindale-Hubbell®, a recognition of his legal ability and ethics by attorneys familiar with his work. Property owners and managers are required to take reasonable care so that people are not exposed to dangerous conditions while on their premises. When they fail to meet that standard, a fall can lead to concussions, severe back problems and other types of injuries that might require extensive medical attention. We take on insurance companies and adversarial lawyers who try to defeat your claim by blaming you, the victim, or claiming that the hazard was obvious. Under the state’s comparative negligence rule, you can collect a recovery for your injury even if you were the party at fault. No legal action can fully compensate families when a member has died due to someone else’s carelessness or misconduct. However, Arizona law authorizes wrongful death actions to provide some measure of justice to bereaved loved ones. Our firm brings these cases on behalf of estate representatives and family members to recover funeral costs, wages that would have been earned by the victim, and other available damages.